If you are in the market for a truly distinctive accessory, then you need look no further than this Steampunk Leather Arm Bracer with Octopus and Gears. From the engraved detailing to the antique brass colored accents, this bracer is truly one of a kind. It is hand-crafted from medium weight brown leather that has been engraved to show off gears of various sizes and styles. On top of the leather is a singular cut-out that depicts a gleaming antique brass painted octopus that is entangled with a larger gear. The bracer laces up for an easy adjustable fit. 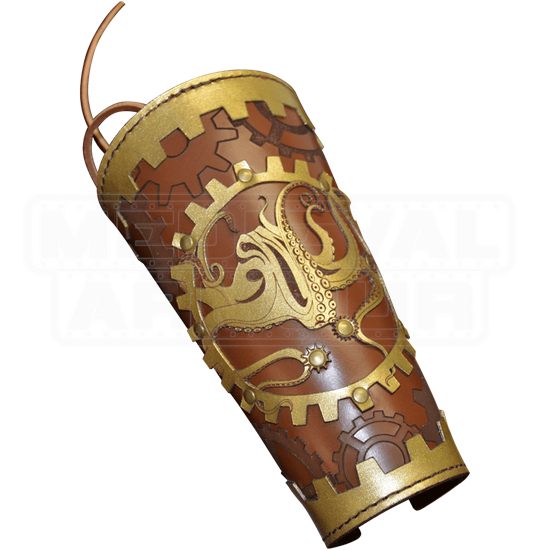 It is sold as a single bracer. 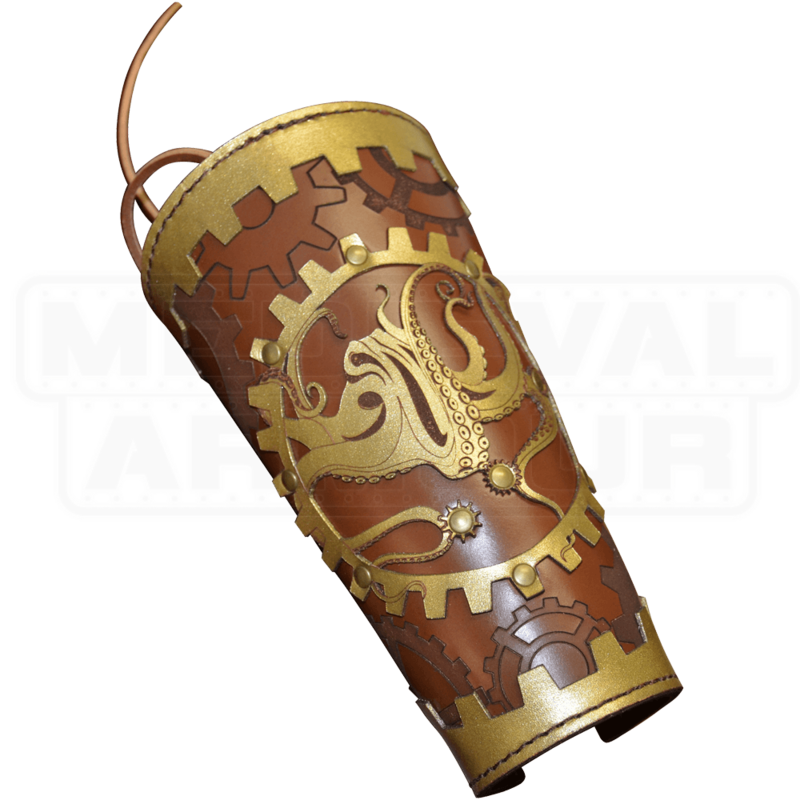 Truly unique and totally jaw-dropping, this Steampunk Leather Arm Bracer with Octopus and Gears is an incredible piece to add to your look, especially if you want that tell-tale splash of awesome steampunk style!